These simple tools proved useful for thousands of IT pros all over the world. Track changes to IT infrastructure, manage passwords, troubleshoot account lockouts and more. Remember, it’s not a trial, it’s Free. Netwrix Auditor monitors your IT environment and helps you answer the critical questions of ‘who changed what, when and where’. Designed to support the widest variety of IT systems and applications, Netwrix Auditor won’t let any change slip away or stay unnoticed and drastically improves IT infrastructure visibility and internal security. Password Manager allows users to reset forgotten passwords, troubleshoot account lockouts and unlock accounts through a convenient web-based self-service portal. Account Lockout Examiner alerts the help-desk staff on lockout events and launches a troubleshooting process, analyzing potential causes of account lockouts. The accounts can be unlocked via the unified console, web-based interface or a mobile device. Disk Space Monitor alerts administrators in real-time when disk space falls below certain threshold on one or more network servers. It centrally monitors multiple servers for free disk space and sends alerts by e-mail. Bulk Password Reset comes handy for changing multiple local account passwords in bulk and across multiple computers. Specify an entire domain, select a specific subset of computers, or tell the tool to use a computer list from a text file. 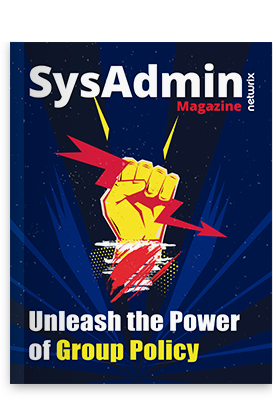 Netwrix SysAdmin Day Contest Winners Announced!